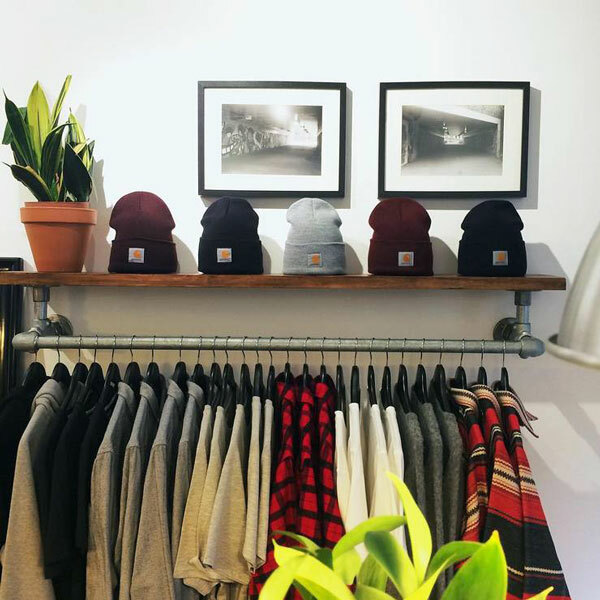 The Union Project is a small boutique located in the U.K. They also have an online shop. 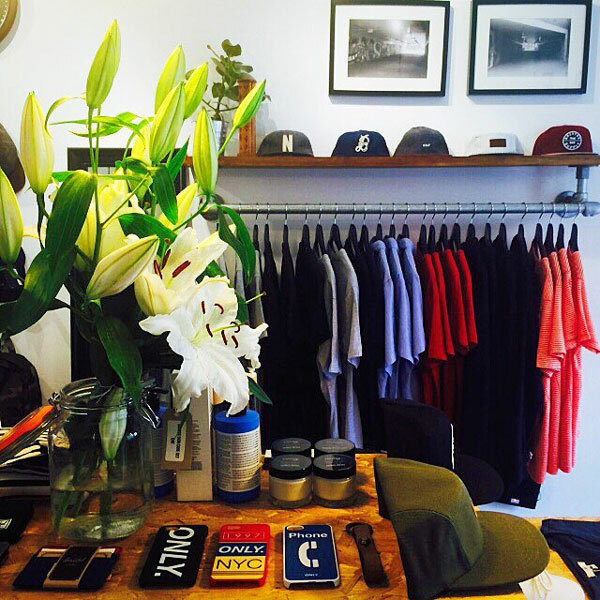 The store specializes in selling contemporary menswear. 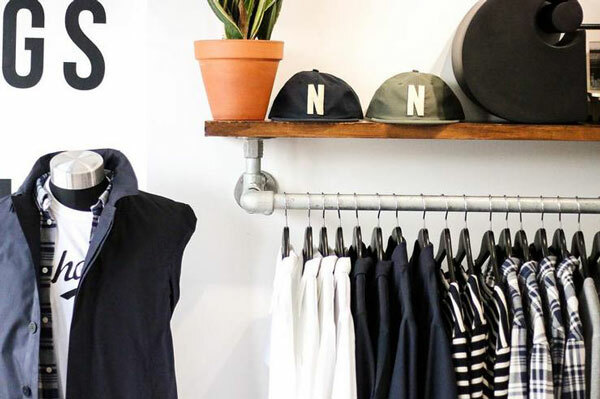 As such, their physical location requires a polished look to complement their clothing and to represent the aesthetics of the brand. 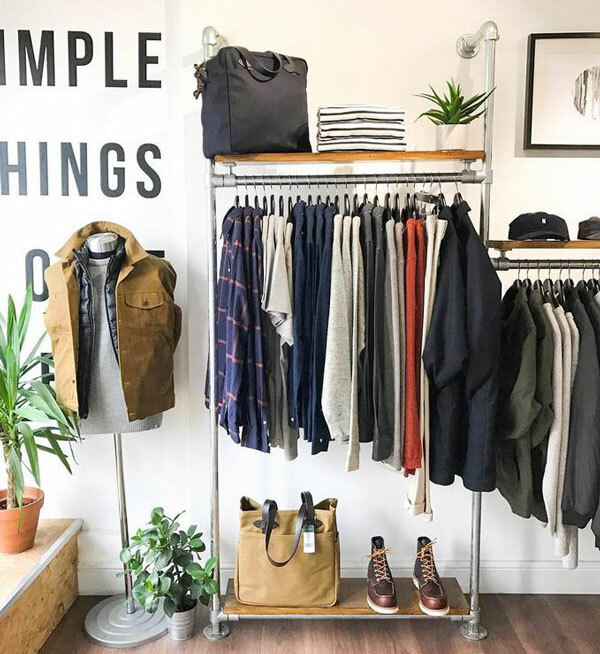 So when The Union Project needed some clothing racks to fit this requirement, they turned to Simplified Building to help them come up with an appropriate design. 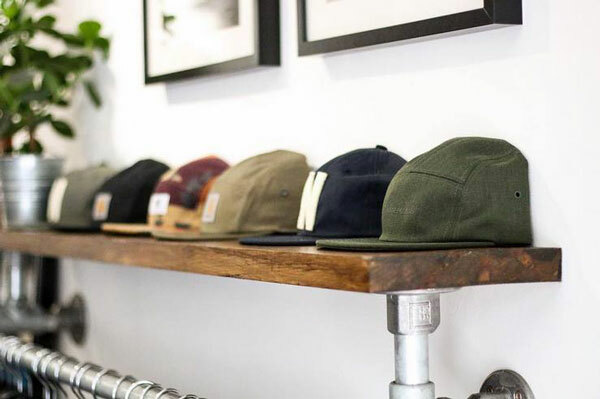 The result of the collaboration are these beautiful wall mounted clothing racks that feature space for hanging clothing and an integrated shelf on top for additional clothing, hats, and other accessories. 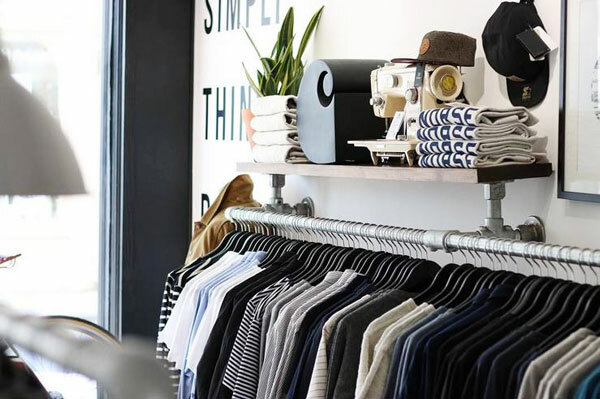 The clothing rack features Kee Klamp fittings and pipe to create the clothing rack frame with wood boards attached to the top of the frame to complete the shelf. 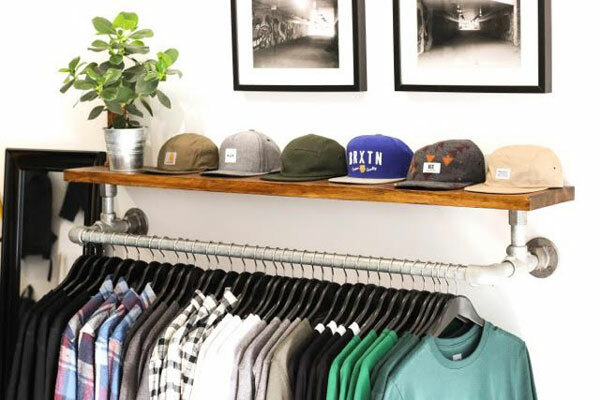 The look is featured throughout the store including similarly designed clothing racks which span the length of the wall (pictured at the bottom of this article). Now, let's show you how you can build your own. Below, are the fittings and pipe you will need to build the clothing racks. The Union Project used wood boards for the top shelf but you can use any material or platform you like. Additionally, the dimensions are compltely up to you and configurable based on your specific needs. 2x Three Socket Tee fittings. Alternatively, you could use the Single Socket Tee fitting instead. It would be the more economical option. Both will serve the same purpose for this project. 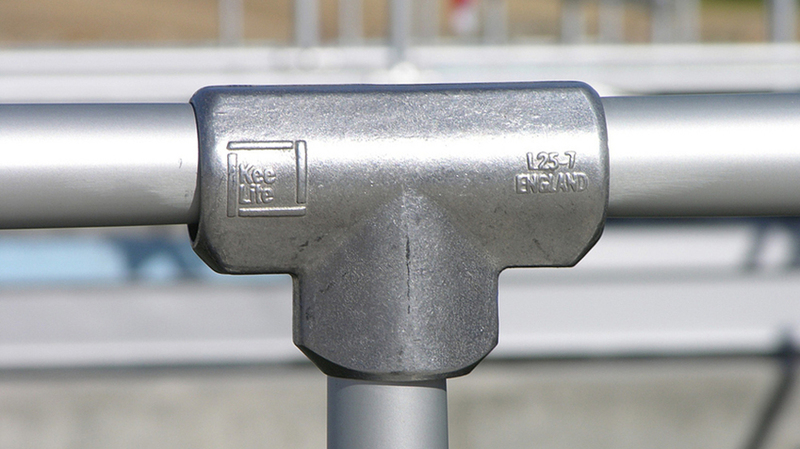 The Three Socket Tee is generally meant to join two separate lengths of pipe while the Single Socket Tee is meant for one length of pipe to slide through the fitting. However, the Three Socket Tee can be used with one length of pipe to slide through, and since it was used in this project, we'll be using it for the purposes of this tutorial. Pipe. Like I mentioned, the dimensions are entirely up to you. 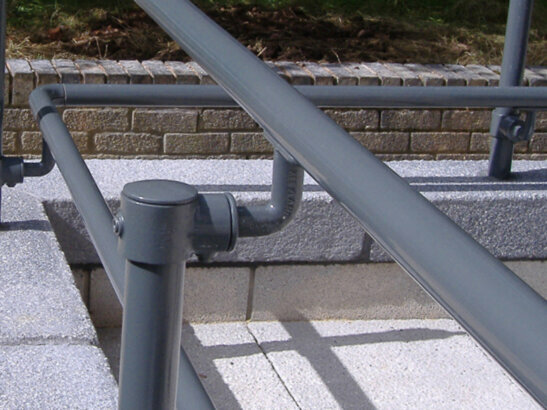 Simply order the lengths of pipe you need for your desired dimensions. As with almost any other Kee Klamp project, exact assembly order can differ based on how you would like to approach the assembly process. However, we have provided the recommend steps below (with diagrams and numbered steps proceeding the below diagram). 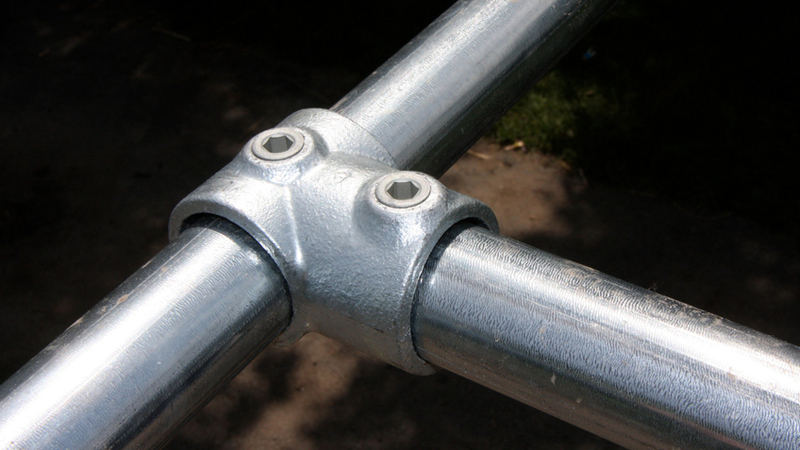 To assemble the clothing rack, first start by assembling the two side supports that make up the pipe frame. These will then be joined together to complete the frame. From there, the shelf can be attached to the frame and the whole rack can be mounted to the wall. Alternatively, you could mount the Flange fittings to the wall first and assemble the rack that way. 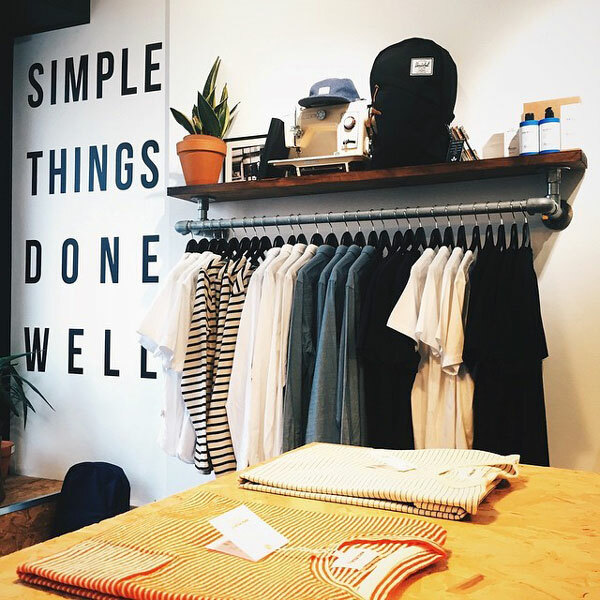 However, we recommend doing it the way we first suggested to avoid any spacing or measuring mistakes that might arise from assembling the clothing rack that way. Follow the diagram in Step 1 to assemble the side support. Each side will utilize 2 Flange fittings and 1 Three Socket Tee fitting. Then, do the same thing for the other side so that you have two of the sides complete as pictured in Step 2. With the two sides complete, you can now join them together. Following the diagram in Step 3, use the 90 Degree Elbow fittings to connect the final length of pipe to the sides. The clothing rack frame should now be complete as pictured in Step 4. Now, you can attach the shelf. Place the shelf over the Flange fittings and align it in place. Then, mount the shelf to the frame using the appropriate hardware (in this case, wood screws). Each Flange fitting has four holes in it for mounting. This is better illustrated in the diagram in Step 6. 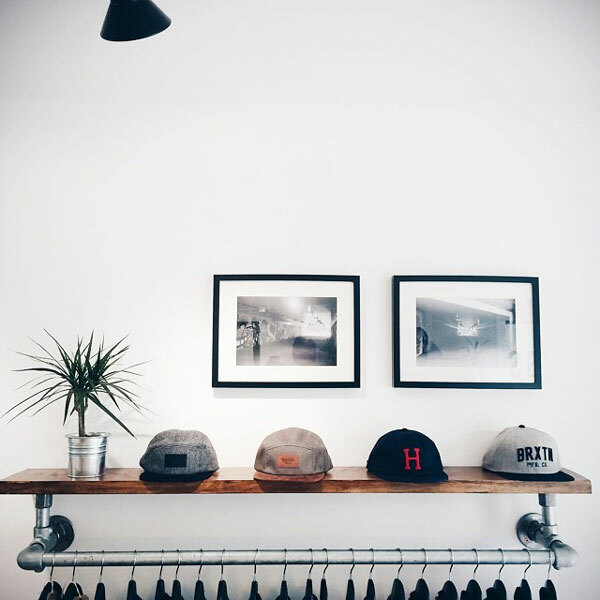 Finally, you can mount the clothing rack to the wall. You may want to have someone hold the rack up for you while you screw it into the wall. Also, make sure you use the appropriate hardware. For instance, if you're attaching the clothing rack to drywall, you may want to use drywall anchors or even try to attach it to the studs in the wall. With the clothing rack mounted to the wall, you're finally done! 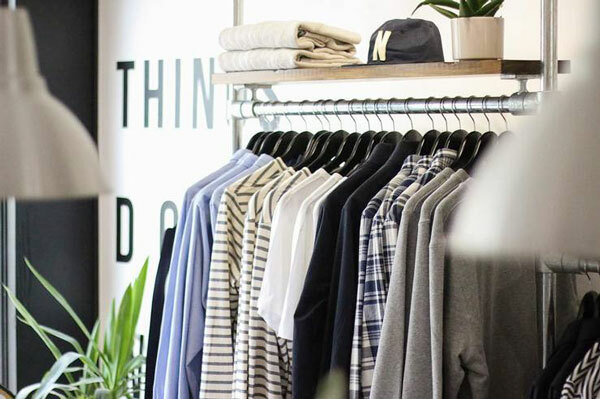 If you have any problems assembling the clothing rack, or need some help designing a custom solution using Kee Klamp, don't hesistate to reach out to our projects team for assistance. Our team is experienced in using Kee Klamp and has helped many customers come up with their perfect design. Finally, we do offer a few clothing rack kits. 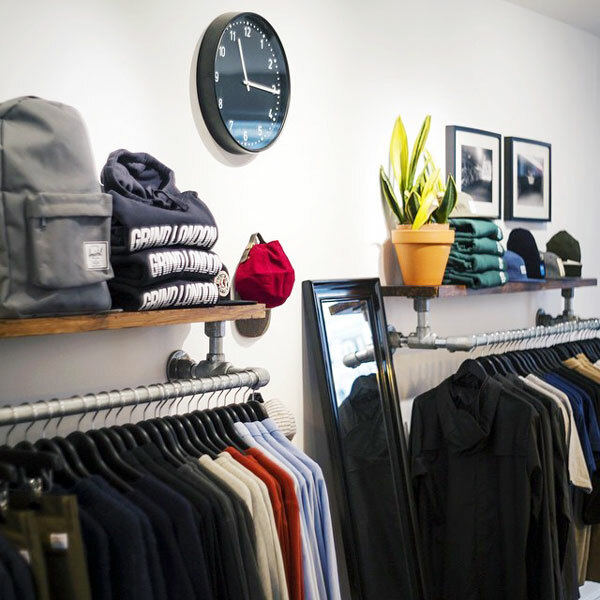 Try browsing our selection to see if their is a fit for you. Did you enjoy this article? 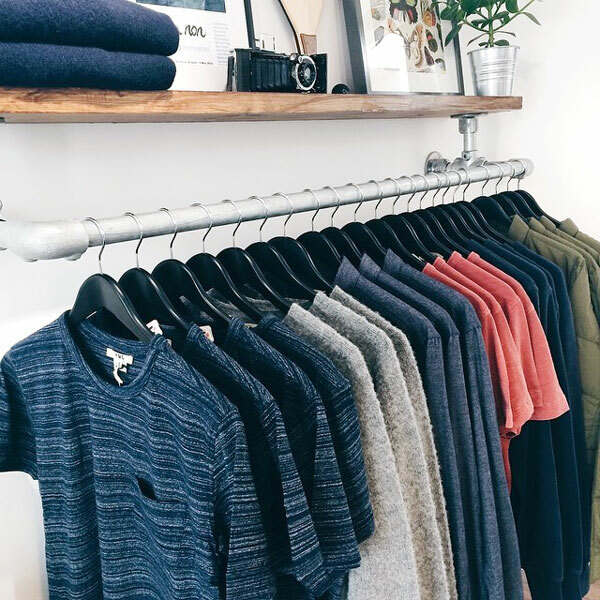 Let us know in the comments below what you thought of The Union Project's clothing racks and be sure to sign up to our email newsletter to receive updates on future projects like this one.